Nicola Murgatroyd developed MyLiferaft after experiences gained from three decades of being a working parent and principal carer for her late daughter who was born with spina bifida and had many complex needs. Struggling with the volume of paperwork required to stay on top of appointments and keep everyone informed about her daughter’s requirements, Nicola wanted to save other carers the time and pain of having to repeat information whenever new professionals are introduced to the care circle. How can MyLiferaft help with health and social care in bringing together a person’s care circle? Is MyLiferaft able to support social services? Integrated Health and Social Care is a well-used term in these transformational times: the difference is that MyLiferaft is the only platform sitting in that social care space. 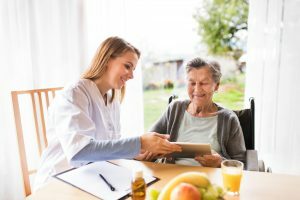 It is already helping to activate citizens to take ownership of their health and care, delivering direct benefit to themselves, their families, other carers, and importantly removing direct costs from severely depleted health and care budgets. How can MyLiferaft help communication between individuals, family, carers and the wider community? Can MyLiferaft support the growing need for healthcare at home? MyLiferaft addresses a clear need in the social care space: the technology allows carers (both family and professionals) to have managed accounts for their loved ones. MyLiferaft recognises and provides a solution for the family and wider circle of care, one that eases the burden of care allowing families to function and for everyone to live a fuller life. What types of information are held in MyLiferaft? How can the information be used to help all those involved in caring for someone? MyLiferaft can be used to record not only health and medical data, but also social, emotional and support care information; it is particularly useful when arranging respite and social care or completing lengthy forms. MyLiferaft allows people to start well, live well and age well. How can MyLiferaft support research and analysis? 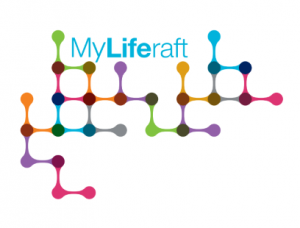 What is the data output available from MyLiferaft and how can it help us in the future? MyLiferaft has been developed with clear insight of people living with or caring for long-term conditions. Its content management application is centered on the individual, allowing them to receive, capture and manage information about themselves, and to share it with whomever they choose. This level of granular big data is unprecedented in the NHS and social care systems. Through MyLiferaft, research teams and collaborators would have access to this growing and detailed anonymised data. Sam is Director of Professional Care Services and has many years working within the care industry providing care and support to clients with many different needs. MyLiferaft offers a financially viable and life-changing product. It provides an immediate solution for individuals with complex needs to have everything pertinent to them in a safe, secure and immediately accessible location. Information can be shared with family, friends, health and care professionals. If you want to know more about the team behind MyLiferaft, click here.